Fast track to practical information for IOT, LBS and Connected Car Professionals. Spotam, founded by Israel Ronn, is a consultancy and research firm in the areas of telematics, location based services and the Internet of Things. Companies working with us benefit from hands-on executive experience combined with deep professional and technological knowledge. Our goal is to equip our customers with tools and smart information resources to assist in business decision-making processes, whether through dedicated meetings and training sessions, or through the Spotam expert knowledge base. The Spotam knowledge grid is designed as a central source of aggregated and analyzed data in the areas we cover. It contains hundreds of items, categorized by industry sectors, business categories and item types. In order to deliver the right insight for your business, our team continuously monitors major relevant news sources, research publications and corporate world developments. On our site you will find free and premium news items, trends analysis, articles, research abstracts, and aggregated data briefs. Using the search mechanism you can quickly get to the information needed for day-to-day work, new market strategy, and any short or long term business planning. 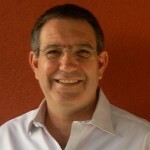 Israel Ronn, founder and owner of Spotam, has over 20 years of executive business experience as well as market analytics experience. In previous roles in the industry Mr. Ronn has led local and multinational companies in the areas of Telecommunication, Wireless and vehicle Telematics. Israel is a former President of Telrad Inc. (NY/USA), a former CEO of Telrad Connegy Limited; a former CEO of Cellmax-Systems Limited and a former GM of Cellocator, a division of Pointer Telocation Limited (NASDAQ:PNTR). We are proud to count among our customers leading industry names in the fields of smart transportation, location based services and Internet of Things. Spotam works closely with leading industry players to offer our customers a comprehensive knowledge and consultation experience. To partner with us please contact us here.